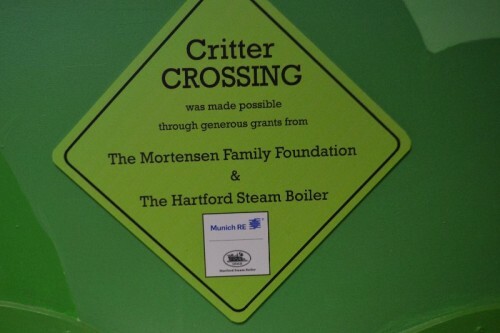 My latest family outing was a trip to The New Children’s Museum in West Hartford, CT. It’s been on my list of places to visit for quite a while. Since the weather is still a tad bit too cold for outdoor adventures I thought this was a perfect time to visit. 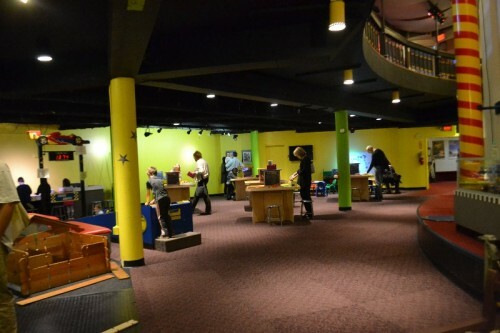 The Children’s Museum is the 5th oldest children’s museum in the country. 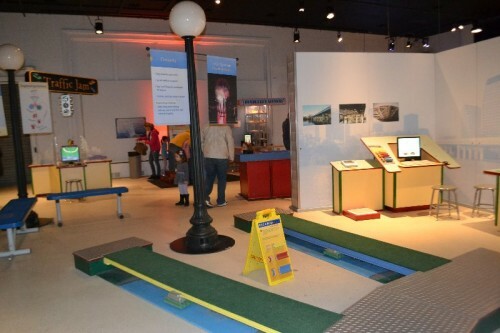 The museum spans 3 floors with numerous hands-on exhibits. 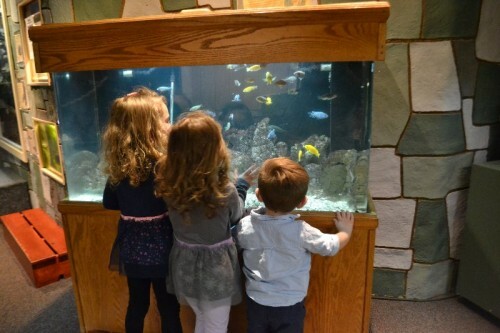 The museum is perfect for school-aged children. 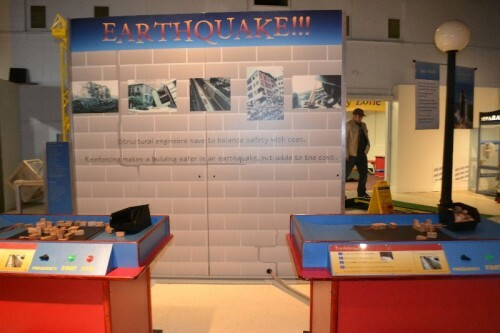 There are several different exhibits that focus on science and nature. 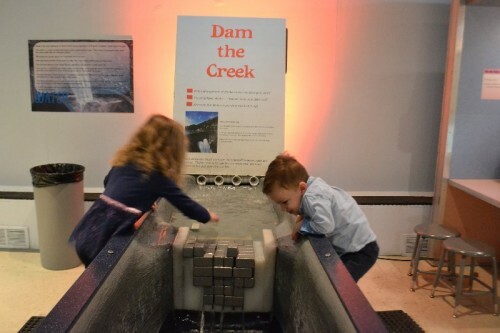 Even though some of the concepts were advanced, my little ones (ages 4 & 1) still loved exploring the different exhibits. Tip: The museum is not stroller-friendly, so be sure to bring along a baby carrier for little ones. The museum has plenty of free parking on the property. 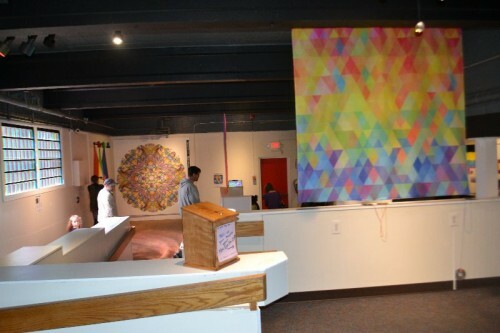 The Children’s Museum is part of the ASTC and ACM Reciprocal Networks. 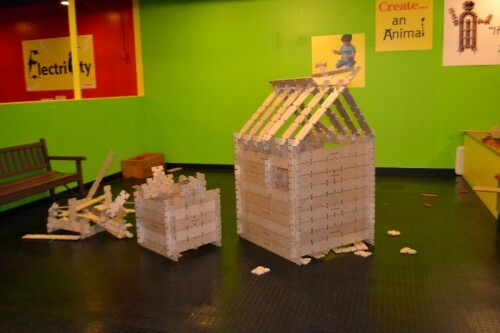 The ACM includes other children’s museums across the country and Connecticut including Imagine Nation, KidCity, KidsPlay and Stepping Stones. 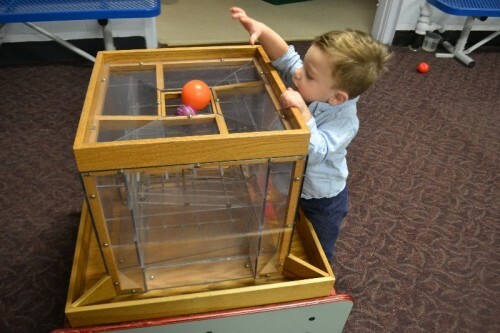 If you have a membership to one of the museums in the ACM network your admission to KidsPlay is half price. TIP: I found the museum to be a little pricey but there are ways to save. Save with occasional Groupon deals. Check your local library for museum passes. I used a coupon for free admission from the coupon book my kids sold as a school fundraiser. As you walk up to the entrance of the museum you can’t help but notice the 60-foot long sperm whale replica that sits on the front lawn. 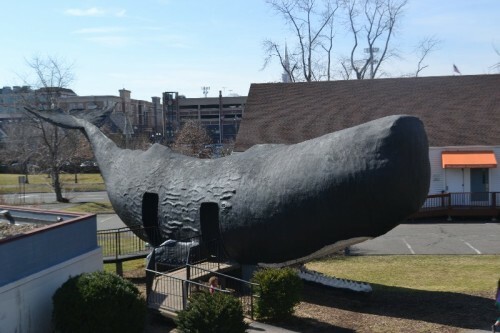 Did you know that a sperm whale is Connecticut’s state animal? 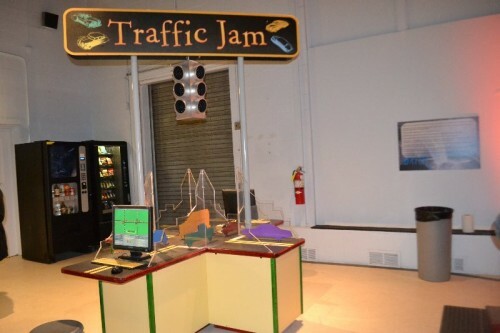 I had no idea before visiting the museum. Children are welcome to explore inside the whale, hear whale sounds, and get a spray from its blow hole (in summer months). 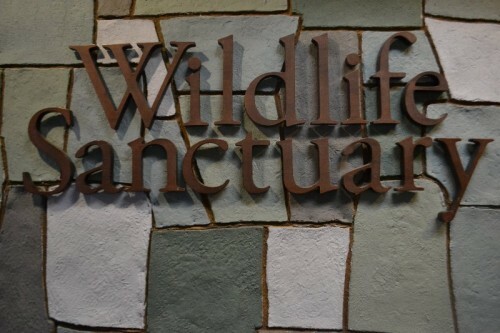 The Wildlife Sanctuary was the highlight of the museum for my little animal lovers. 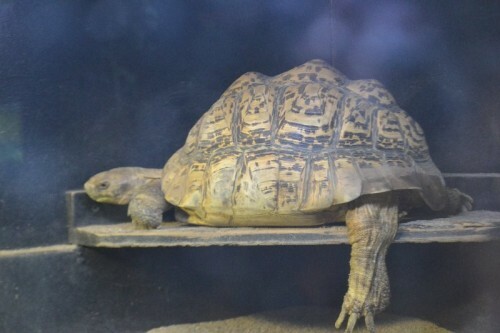 It’s filled with different animals who are taken care of by the staff of the museum. Many of the animals were found in local areas and for whatever reason (health) they cannot be released back into the wild. 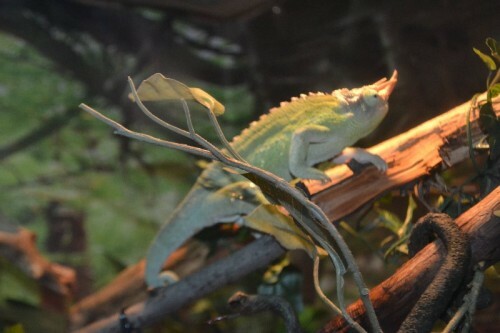 The animals are rehabilitated and live the remainder of their happy lives at the museum. 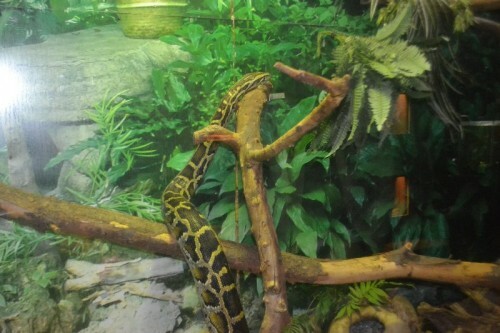 Many of the animals are comfortable being handled by the staff and are used for demonstrations. 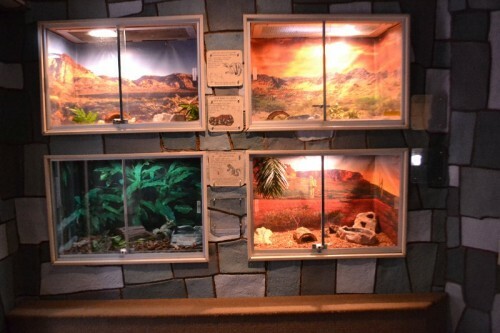 There are daily animal demonstrations and feedings where the staff takes out different animals. 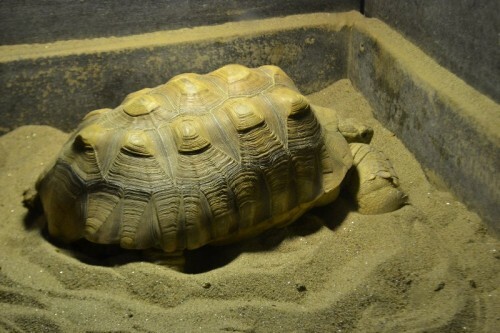 They give some basic information about the animals, answer questions, and allow for gentle petting. 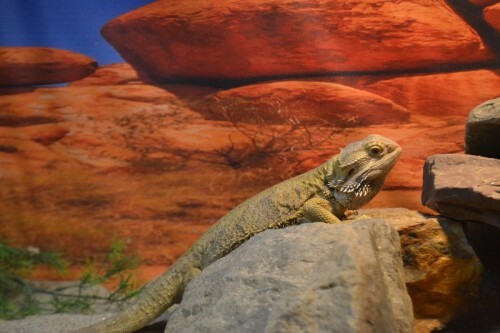 While we were at the museum we were able to pet a bearded dragon and groundhog. 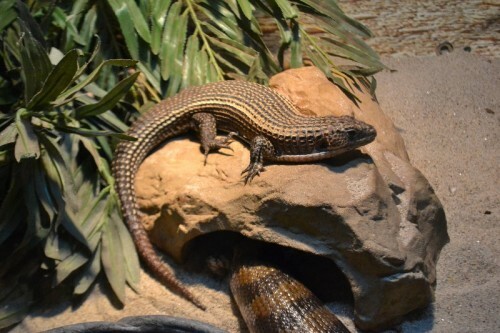 Along with the indoor exhibits, there are a few animals that can be seen outdoors. We were able to see a bobcat who was enjoying a nap. There is also a raccoon who was hibernating. During warmer weather there is a butterfly garden. 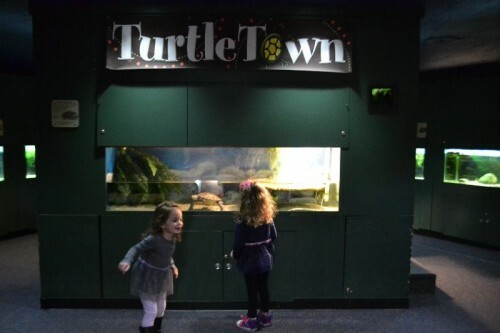 Turtle Town was also another fun room filled with different size turtles and tortoises. 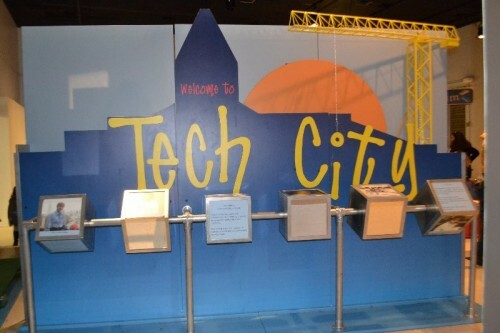 Tech City is a fully interactive exhibit that features 12 stations where children (and adults) use science to solve real-world problems. This is a great area for school-aged children, and I imagine it must be a popular spot for school field trips. The concepts were a little advanced for my little ones but they enjoyed working together to solve promblems. We loved building a a dam, recording our own song, and walking across the different bridges. 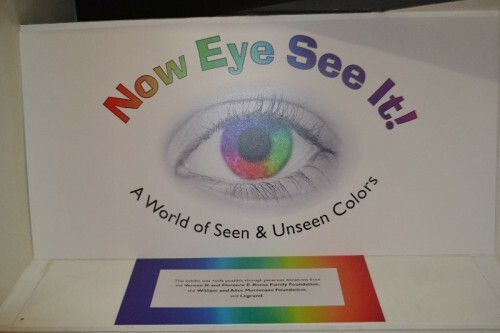 Now Eye See It features 30 different hands-on stations where children and adults can experiment with seen and unseen colors. 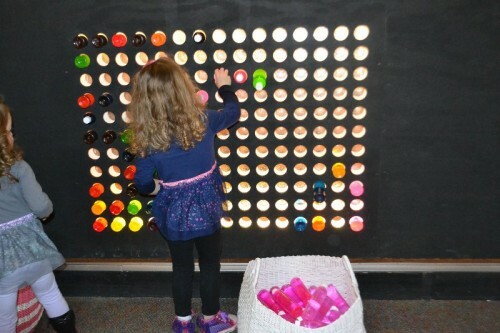 My little ones loved looking through kaleidoscopes, wearing different colored glasses, playing with colored magnets, and fitting colored water bottles into peg holes. 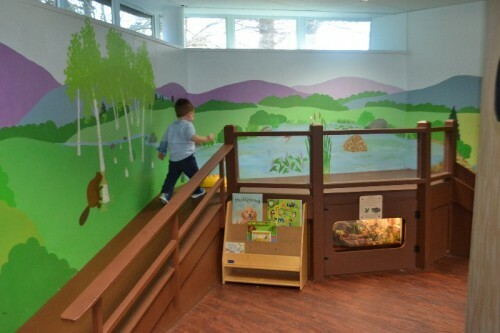 While many of the exhibits at the museum were geared toward older children, Critter Crossing is the perfect spot for toddlers (up to age 4). 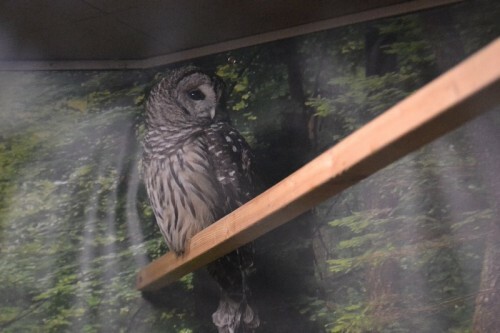 The room was decorated with a friendly woodland theme. 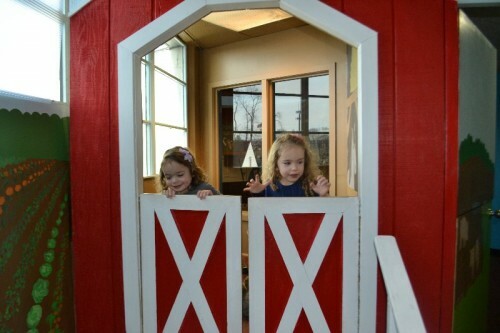 There was a kitchen area, quiet little nooks with barn (stuffed) animals, and a slide. 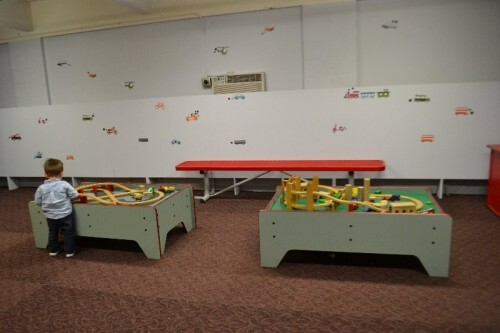 It was a perfect spot for little ones to run and play freely. There were also little benches for parents to sit close by. 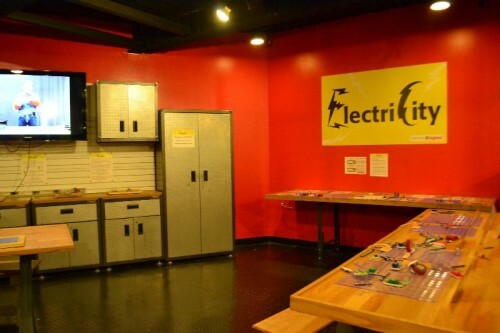 The bottom floor of the museum features a large room full of hands-on exhibits including ElectiCity and Thinker Linker Studio. 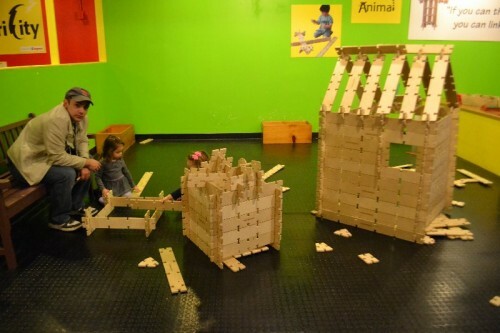 My kids loved building with the Thinker Linkers interlocking wooden blocks. 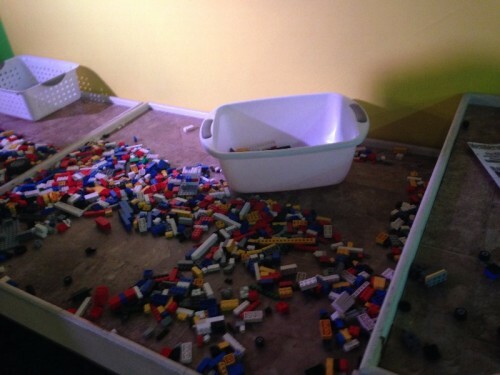 I think we could have spent the whole day building with the Thinker Linkers and Legos in the area. The museum features a planetarium. There are 2 shows that run weekdays and up to 5 shows on the weekend. Show schedules change monthly. 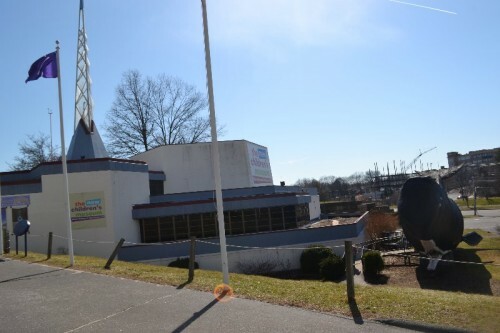 Admission to the planetarium shows is an additional cost on top of regular admission. 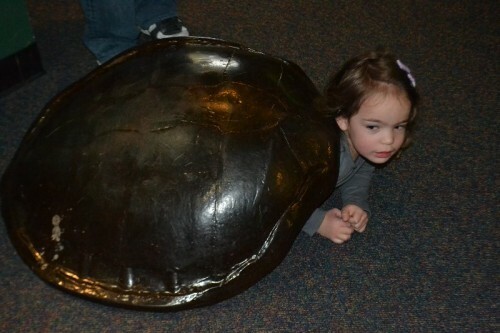 My kids enjoyed The New Children’s Museum. 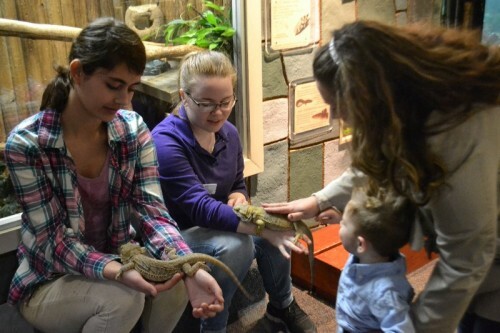 They liked all of the hands-on exhibits and they loved the animals. 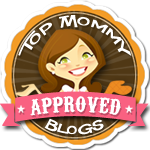 I think that the museum is best suited for older children, but of course there is something to entertain everyone in your family. 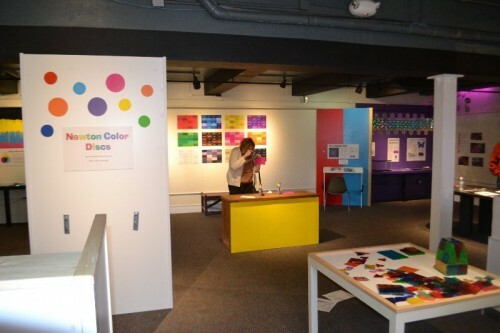 With so many children’s museums in Connecticut geared toward younger children, it’s nice to know that there are options for families as everyone gets older.